Steve Drake Architects (SDA) is an architectural urban design practice. 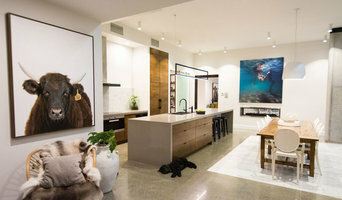 The practice is built on expertise in residential design developed from experience working in all sectors of the building and development industry. We have a collective of experience across: CONSCIOUS DESIGN PROJECT HOMES BESPOKE RESIDENTIAL DESIGN URBAN DESIGN AND PLANNING STRATEGIES MULTI RESIDENTIAL EXTERIORS and LANDSCAPE RENOVATIONS AND EXTENSIONS ALLIANCE SDA has an alliance agreement with TEKTON to deliver MULTI RESIDENTIAL PROJECTS, CHILD CARE centres and VETERINARY PRACTICES across Eastern Australia. DEVELOPMENT PARTNER Steve is a director of VIRTUS PROPERTY a development company working with developers and land owners to deliver residential land and buildings. idearchitecture is a multi-disciplinary Architectural practice providing professional consulting services. Our practice specialises in Architecture and Design, Project Management, Interiors and Planning. Since its launch in 1991, IDEA has provided professional consulting services for a diverse portfolio of award-winning projects, both in Australia and overseas. In 2015, idearchitecture - Vietnam was launched. Operating within the public, private and non-profit sectors, our commitment to uncompromising quality, efficiency and innovation has established our reputation as a highly professional and market leading architectural practice. We are a highly-qualified, design-focused and service-orientated team of capable, cohesive and creative Architects. In 2006 the IDEAGROUP of companies was established to bring together complementary skills and services, including property development, computer-aided illustration and graphic design. The combination of expertise among our group of companies gives idearchitecture an intellectual and commercial advantage that is passed on to all of our Clients. The Computer Aided Drafting & Design systems and 3D visualisation technology utilised by our firms are constantly updated to ensure idearchitecture’s optimum delivery of professional services. The practice strives to build on its sound reputation and is constantly seeking new challenges and opportunities to deliver professional consultancy services to all of our Clients. Reddog Architects is a professional design practice that specialises in architecture, interior design and project management. Our philosophy is to challenge multiple design options, paying particular attention to site context, budget parameters and client requirements. Atelier Chen Hung is an architectural practice with experience in the fields of private residential, multi-residential, retail, commercial and installation projects. Based in Brisbane’s West End, A–CH provides full architectural services, from concept to project management. Founded by Melody Chen and James Hung in 2008, the practice is driven by a multidisciplinary approach, where collaboration is encouraged throughout the design and construction process. The NRA Collaborative (nra-co-lab), former Noel Robinson Architects, is widely recognised as a leading international architecture and integrated design practice. Architecture, Urban Design, Master Planning, Space Planning and Interior Design is our life as it has been for over four decades. Our practice is driven by the pursuit of quality – a belief that our surroundings directly influences the quality of our lives, whether at home or in the work place or in the public realm. nra-co-lab is committed to design excellence that responds to the needs of our client’s briefs with solutions which are creative, innovative and enhances human experiences. Combining advanced architectural forms, refined building techniques and contemporary interior design, we offer a synergy of cutting edge creativity, proven experience and a passion for excellence. We were founded on the principle that innovative architecture, using prefabricated systems and custom features, can produce homes of simple beauty, flexible functionality and environmental harmony – at an accessible price. With 20 years of design & building experience and acclaimed industry awards, we continue to reach for new peaks and balances driven by our guiding principles of…. form, function and flexibility. Our firm of architects and builders commenced in 1989. We offer a design and construct package for clients looking to build (or renovate) a home (at an affordable price) which is functional, a delight to live in and beautiful to look at. 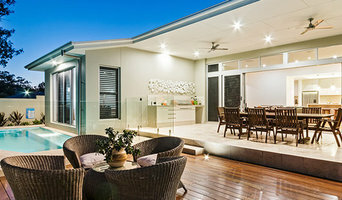 We are Family Home Experts and we do the design and the drawings to make that house happen and to bring it to life, whether a new house or a renovation and extension to an existing house. 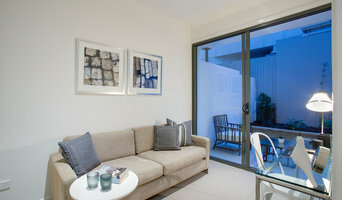 We do a lot of early strategy work and go right back to the start to make sure that it’s actually the right house for you and to make sure that it can actually achieve the things that you want it to;that it can become the house that you need it to, to suit your family and to suit your budget. With so many of the people we help, we find there are three consistent things that across the board people are always looking for. The first is that they’re looking for a house that they love coming home to and they enjoy living in, but they don’t want to compromise practicality for beauty. So they want a beautiful house but more importantly they also want a house that is practical, functional, easy to live in and easy to clean. They want a house that doesn’t break the bank. Now, whether it’s our highest of high end clients or our everyday budget clients, they all consistently want to make sure that they are getting good value for money and they are not wasting money. And finally, the people that we help want a house that goes up in value over time. Most people don’t say “Sure, we’re happy to overcapitalise”. Again whether our high end or budget clients, we find that they still want to make sure that whatever money they’re adding to that property, whatever money they’re investing in it, that that actually has a repercussion and we see that increase in value when it comes to a sale price. Now selling your house might seem like a long time away, but whether it’s three years or thirty years, in order to make sure that it has gone up in value we actually need to do a lot of work. It just doesn’t happen by accident. So if these are the kind of things that interest you, then why not check out Family Home Experts a bit more? If there’s any other information you need, or if you simply have some questions, feel free to email the team or give us a call at the office on 07 3876 2628. You may also click on <a rel="nofollow" target="_blank" href="https://goo.gl/dNY1bk">https://goo.gl/dNY1bk</a> to see some options on how you can talk to us. Elaine McKendry Architect is a much sought after, highly creative practice focusing on Subtropical, Contemporary Residential Design. Based in Fig Tree Pocket and working in Brisbane's Western Suburbs, we aim to create Homes not Houses. We offer a unique, bespoke service with all houses designed personally by architect Elaine McKendry. We will work closely with you on Concept Design, Approval Drawings, selection of a builder, and On-Site during construction, for New Homes, Renovations, Interiors & Landscape Design. Our vision and goal is to create efficient, light-filled, indoor-outdoor, comfortable architectural spaces that lift the spirits and appreciate our beautiful subtropical climate. Kirk was established in Brisbane, Australia in 1995 as Richard Kirk Architect. The practice has expertise in architecture, urban design and environmentally sustainable design, with studios in Brisbane, Beijing and Kuala Lumpur. Beautiful simplicity. Timelessness. Inspired designs. Fastidious attention to detail. When quality and service matters, talk to the Architect you can trust. 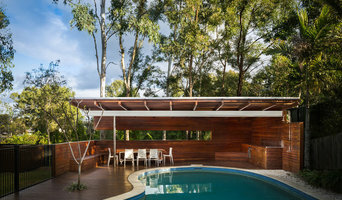 SMITH Architects is a small practice that provides a comprehensive architectural service. We work with our clients through the entire design and construction process, from the conception of an idea through to the realisation of their dream. Stewart is the project leader and driver behind the firm’s projects and is integrally involved in the design, documentation, co-ordination and construction administration services, ensuring that 20 years of experience designing, building and project managing is delivered into our process. Our process has been refined at each stage of the design and construction journey. 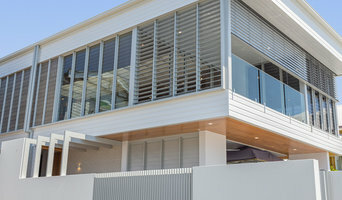 This comprehensive service ensures that SMITH Architects deliver a high quality and unique project for our clients that exceed their expectations.